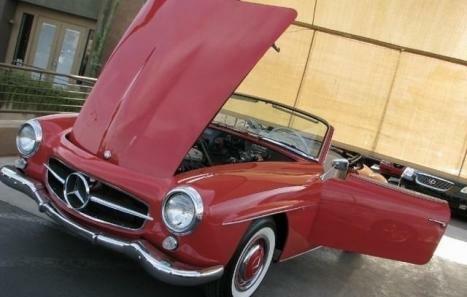 This is a 1957 Mercedes Benz 190SL in excellent restored condition. She is a very nice example of a daily driver. The engine runs strong and is the original engine. The transmission goes into gears with no problems. The clutch is tight. A True Gentlemans car and a Collector. There are no dents, dings or scratches anywhere. It has no rust and very solid underneath. Just look at the pictures and judge for yourself. She is even better looking in person. We get nothing but compliments. 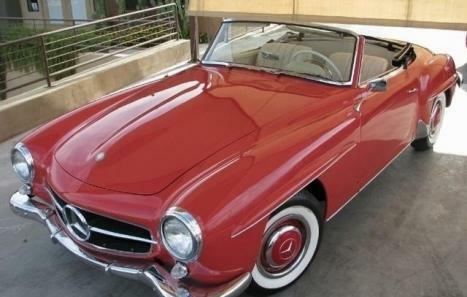 It is Red with light Beige Interior. The color is amazing. 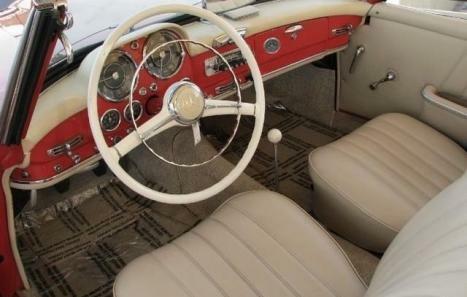 This is the best color combination, The interior is in Excellent condition. There are no tears or fade. The Top is also in excellent condition. All the gauges work. The tires are like new. 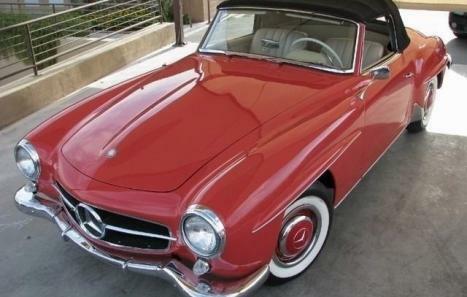 These cars are very Rare and only going up in value. Don't miss out on this opportunity of a life time.